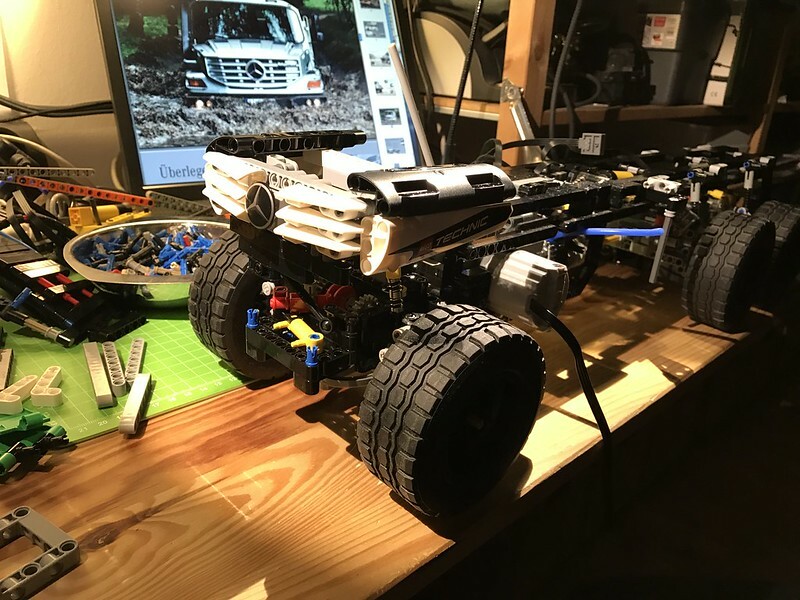 Just in time for the occasion of the 40th anniversary of Lego Technic I built a scale model of Mercedes Zetros 2733. 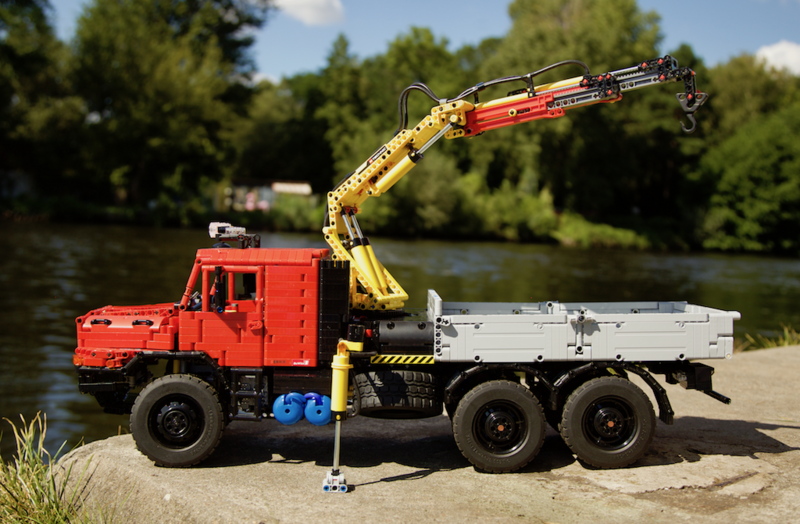 It is a 1:13,5 scale model of the Mercedes Zetros 2733 6×6. All functions are Full RC. It is 69 cm long, 21 cm wide and has a height of 27,5 cm. The weight is 4553 g. As battery I use the BuWizz. 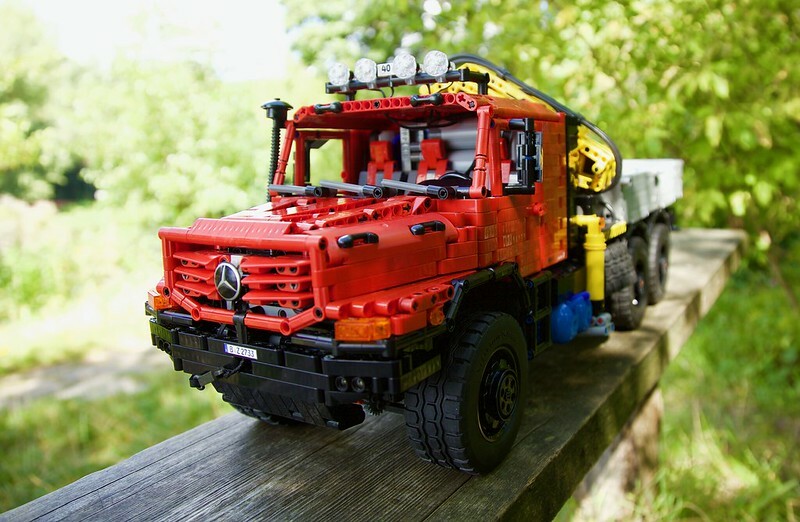 The Zetros is remote controlled by 4 Sbricks via iPhone. All in all there are 13 RC controlled functions. 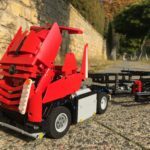 I’m curious, I have always wondered how some of the MOC builders out there connect the wheels to the turntables. 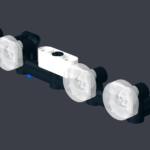 In albums “Project Black Beauty” and “Project Z” you’ll much more pics of the axles and the wheel hubs.